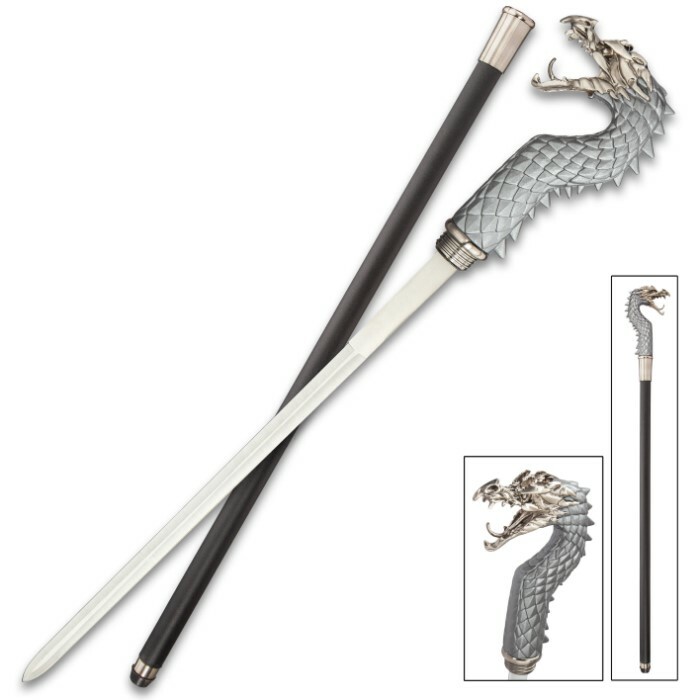 Perfectly engineered for style, this fantasy dragon sword cane features a 15 1/4" 420 mirror polished stainless steel blade. 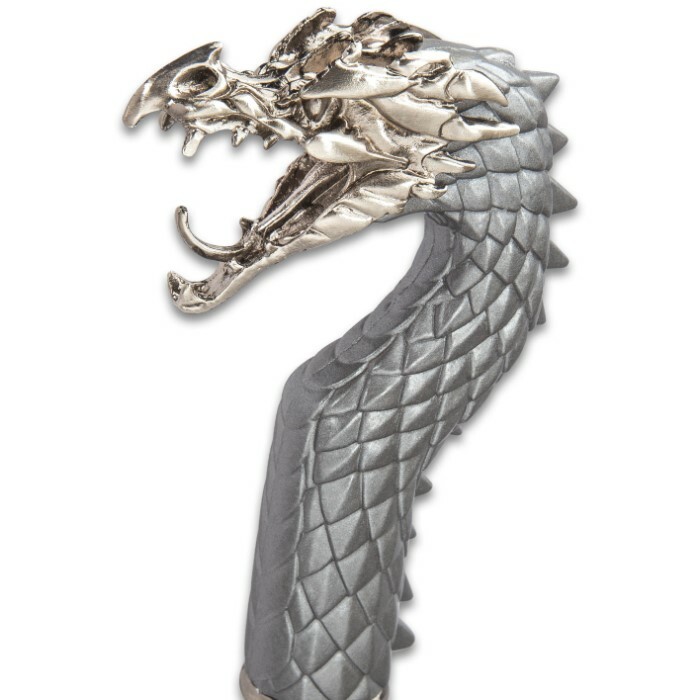 The cast metal handle is sculpted into an open mouthed dragon accented with ruby red eyes. 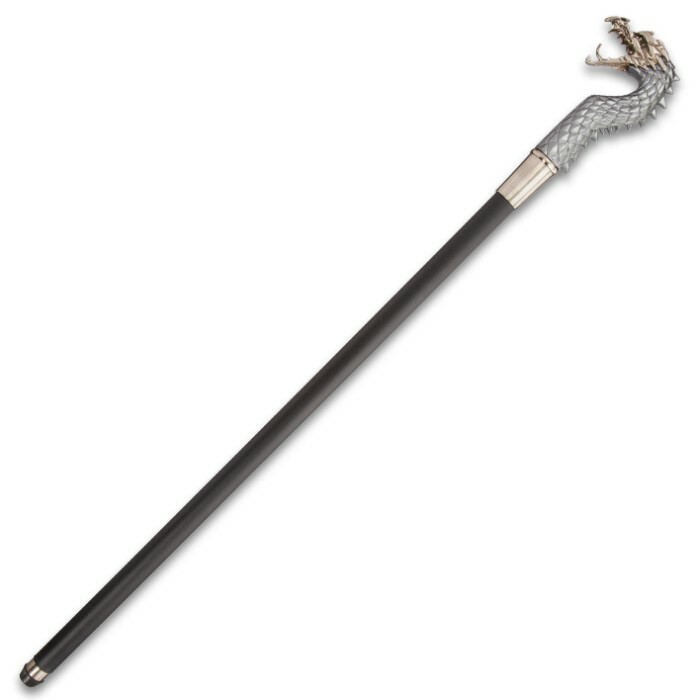 The aluminum scabbard is a lightweight addition to this unique cane. 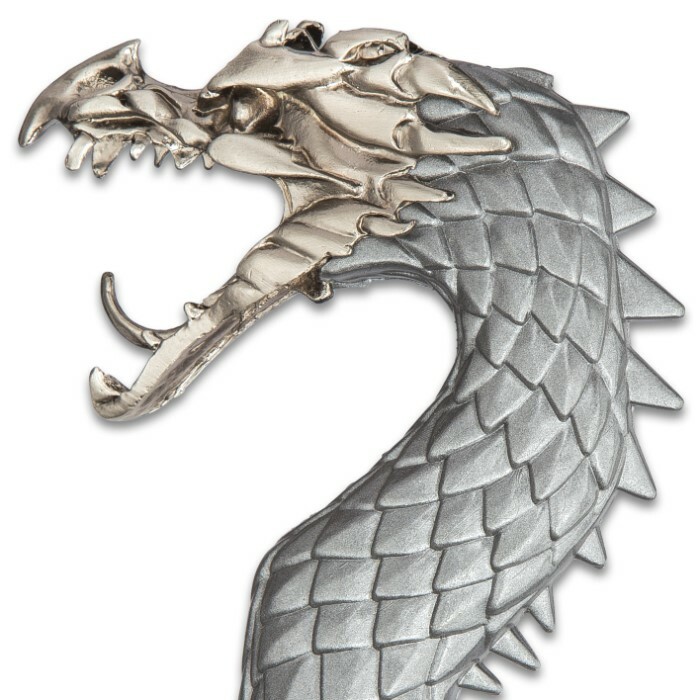 Measures 35" overall.